An engine is nothing without transmission. The two are practically married to each other and their product is the power and speed you feel once you shift your car into gear and press the throttle. Imagine, if one of them becomes faulty, your entire driving experience can be ruined. Therefore, it is necessary for you to take care of your care as best you can. And since, this article is concerned with the transmission, that’s where your mind should be focused on. 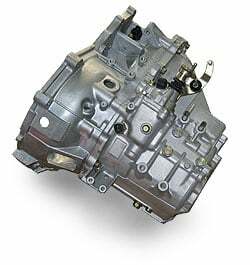 A vehicle’s transmission takes the power from the engine and transfers it to the differential which transfers power to the wheels prompting them to move. Therefore, any issue with the transmission can affect your car’s performance and reduce its efficiency. Now the question arises, is your car’s transmission faulty? Well, to find out read on the list of symptoms and find out for yourself. While there can be many causes and symptoms related to a transmission failure, we will list those that occur most commonly. When your car is running without any issues, you will not find a single noise other than that of your engine. However, if you hear any unnatural sound, particularly when shifting gears, it means there is an issue with your car’s transmission. As soon as you hear a grinding or whining noise in your transmission it is time to visit a professional mechanic. Your car’s transmission is built for one purpose and that is to distribute the power of the engine at the right interval. When you shift a gear and your car takes a bit longer to respond than it usually should, you are looking at a transmission related issue. Your car’s transmission has a special fluid inside that lets it perform its functions easily. If you can feel a burning sensation while shifting gears, it is possible that your transmission fluid is burning. In any case, a burning smell coming from your car can only mean one thing. Trouble. Therefore, you need to get it checked as soon as possible. As mentioned above, the transmission fluid is necessary for the smooth function of the gears. If this liquid is leaking from somewhere, you can detect it easily. The best way is to start your car, lay down on the ground and look for any leakages, you will probably see liquid trickling down somewhere below the engine firewall. Otherwise, you can place pieces of cardboard beneath your car at night and check for any signs of contamination in the morning. Let’s face it, the grinding noise is something every driver hates. This also means that it is easily discernible by everyone since it is so loud. However, detecting this symptom is easy when driving a manual. You will literally feel the vibration in your hands while you shift. In manuals, this might translate to clutch related issues, but it could easily be a gearbox problem. Make sure you get it checked out at the mechanic’s workshop before anything else goes wrong. In an automatic transmission, grinding of gears is a bit subtle but it can be caught when your car goes through abrupt shifts. Once again, a mechanic is more helpful in this case. The transmission should not make any noise when it is in neutral. If you are sensing some rattle from the transmission while it is in neutral, you are probably short of transmission fluid. However, it could easily be anything else, so it is better to get it inspected. This is a serious issue and it means your transmission is in bad shape. In such cases, there is not much you can other than calling a mechanic to your place and get your car inspected for all transmission related problems. The phrase ‘Check Engine Light’ is a generic term, it does not always mean there is an issue with your engine but it could easily mean there is a problem with your transmission system. If this light shines in your dashboard you can be sure there is some trouble somewhere. Transmission failure is a big issue that you cannot solve on your own. In the majority of cases, you need to hire the services of a mechanic. Take your car to the workshop if you are experiencing gearbox failure and get it checked. Sometimes, a general service, where the mechanic checks all your car’s fluids can solve the problem. During this service, he/she can detect if your transmission fluid is at a critical level and replace it. In some cases, if the Automatic Transmission Fluid is old, it can help to flush your transmission and then fill it up with new fluid. It’s a pretty cheap thing to do and this solves a lot of transmission problems. Just check if your mechanic has the required tools for a transmission flush. Read the trouble codes from the transmission control unit with an OBD2 scanner. In many cases when you are experiencing a transmission problem, there can be stored trouble codes of a wiring issue or a bad shift solenoid for example. If none of these methods didn’t work out, the best choice, for now, is to let an experienced transmission mechanic take a look at the car. This can save a lot of money for you if he finds a small part to replace instead of the whole transmission. The bad news first, transmission is a big car part, so replacing or repairing it will generally cost you loads of money. Therefore, it is necessary for you to be extremely vigilant. As soon as you sense something going wrong with your transmission, report to the mechanic. The mechanic will diagnose the problem and fix it there and then. Usually, all you are missing is a bit of transmission fluid, which will be replaced and won’t cost you much. If you prolong the issue, you might ruin the gearbox further and take it to the point of no return. In that case, you are looking at a hefty bill. Once again, the cost you incur for a transmission repair/replace can vary depending on your car’s make and model as well as the part’s availability. In general, used transmission can cost you between $1200 to $3,500. Add to that the labour costs of around $500 – $800 and you are all set for bankruptcy. However, repairing a gearbox can cost you much less but it could cost you more time. While your car is being built you won’t be able to drive it. Ultimately, the decision to repair or replace rests with your mechanic, as only he can judge the extent of damage to your car’s transmission.